The Chippewa National Forest (CNF) is participating in a nation-wide study called Adaptive Silviculture for Climate Change (ASCC). The goals of this project are to test different silvicultural approaches to climate change adaptation that will also serve as useful examples across the country. The National ASCC Network leads worked with the Chippewa National Forest and local partners to design and implement a silvicultural study for climate change adaptation on the Cutfoot Experimental Forest in Minnesota. 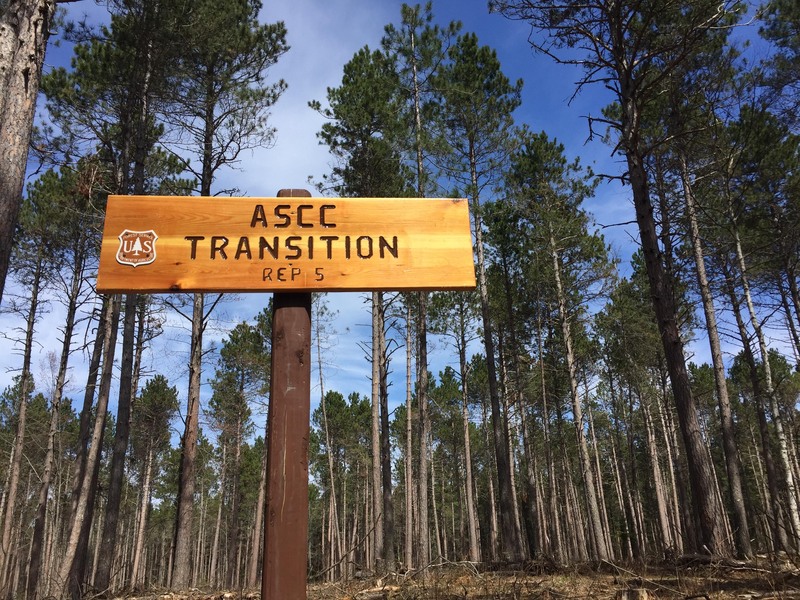 The installation on the Chippewa National Forest Cutfoot Experimental Forest was the first ASCC project site to be planned and implemented. The Cutfoot Experimental Forest covers approximately 3,000 acres, the majority which consists of natural-origin red pine stands. The stands identified for the ASCC project are dominated by red pine that originated following a fire roughly 100 years ago. Learn more about the Cutfoot Experimental Forest here. Brian Palik (USDA Forest Service, Northern Research Station) is the site lead for the Cutfoot Experimental Forest ASCC project site. Key partners include Colorado State University (Linda Nagel), the University of Vermont (Tony D'Amato), USDA Forest Service Northern Research Station (Josh Kragthorpe), Iowa State University (Lisa Schulte-Moore), and the University of Minnesota (Rebecca Montgomery, Jamie Mosel, Jacob Muller, and Matthew Russell).